I was born in Mexico City and I am currently a 17 year-old student graduating from high school. I was born with a congenital birth defect. My left leg was slightly shorter than my right leg. My parents sought help immediately after they noticed there was something wrong with me. After doing their research, I was operated for the first time here in Mexico City. Unfortunately, due to medical negligence, my ankle was disfigured and my growth cartilage was harmed to the point of making it impossible for my left leg to grow at the same rate as my right one. For the following years, my parents dedicated their lives to finding somebody who could help me, any doctor who could take care of my particular case. We sought worldwide for that person and after searching within the United States of America, they stumbled across some information about a doctor in Baltimore, Maryland: Dr. Dror Paley. believed he could certainly help me. So I was operated several times by Dr. Paley, and after some difficult, yet wonderful years, I am only one surgery away from finishing this whole process and having both my legs be equal. Dr. Paley, along with his expert team, accomplished something that I can't possibly describe with words, or at the very least, not without being very extensive. 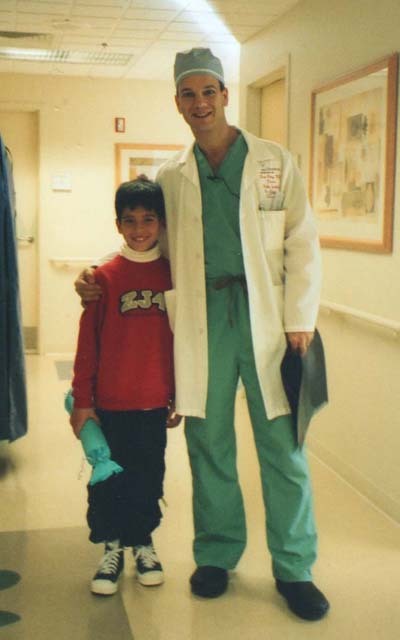 Dr. Paley gave me a brand new leg, a new opportunity in life, and for that I will forever be grateful. I will not lie; this whole procedure was a difficult episode in my life. But I can assure you, all my trust lies with Dr. Paley, for he can do miracles for those who need them.